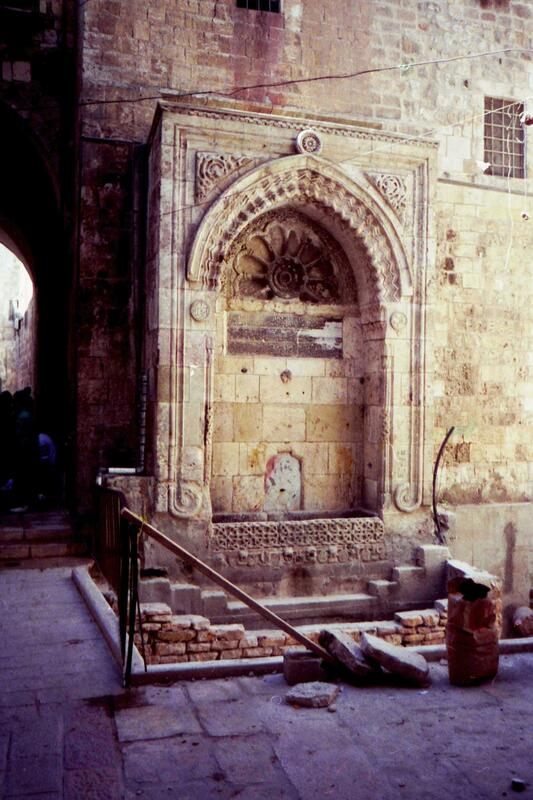 Sebil is a Turkish public drinking fountain. There are several such fountains in the city. Sebil is a Turkish public drinking fountain. There are several such fountains in the city. 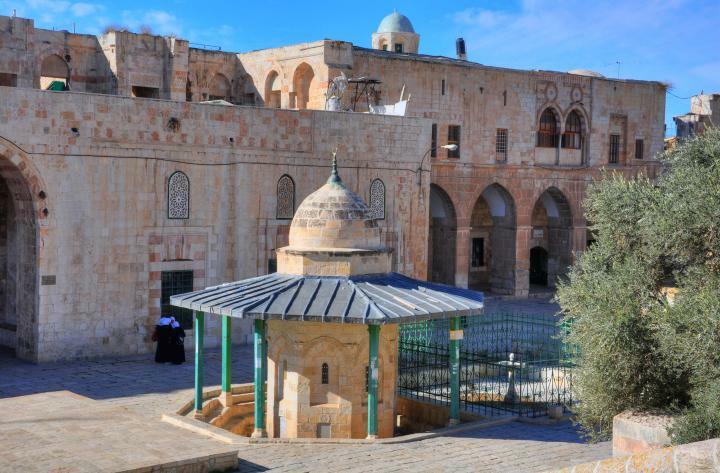 They provided water to the visitors of the temple mount and the old city. An aerial view is seen below showing the places of the sebils that are featured in this page. You can point on the purple points to navigate to the selected site. 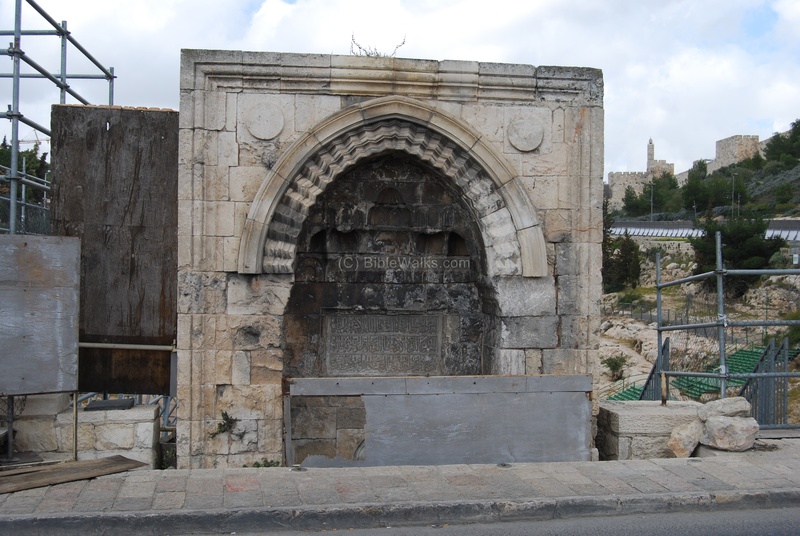 Along the Hagai (Al-Wad) road, on the western side of the Temple mount, are two Ottoman sebils. The photo below shows one of the Sebils which is closest to the Western Wall. A closer detail of the sebil is seen below. Another Sebil is located in Ha-Gai road and the corner of Ala E-Din road, on the entrance to the alley that leads east to the Mashgiach (supervisor) gate. On the other side of the gate, on the temple mount, are additional Sebils. 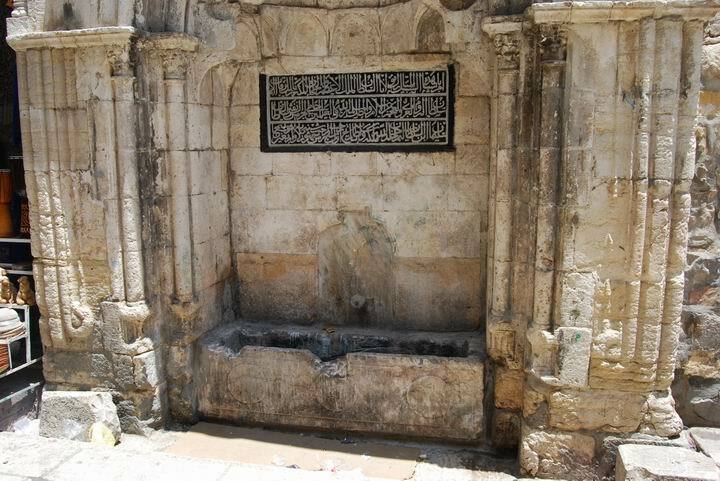 One of these fountains is located just before the Chain gate (30m NE), and named Sebil Kasem Basha. 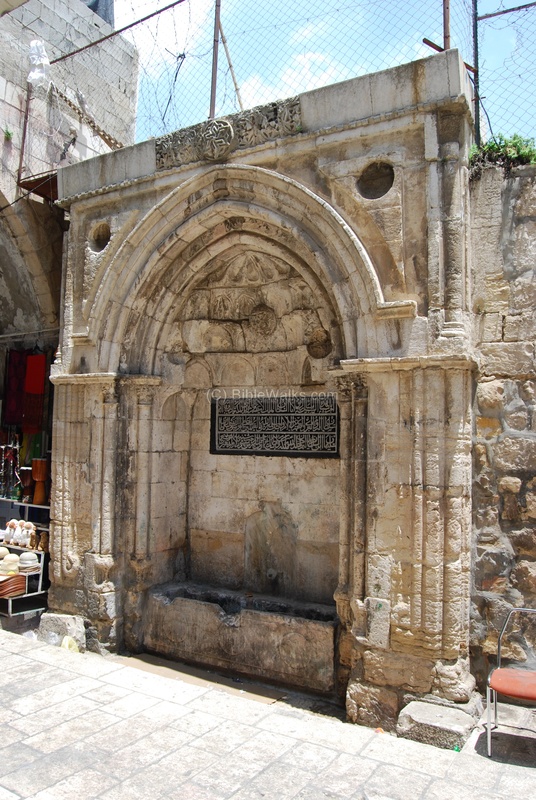 This fountain and its adjacent pool was built by the Governor of Egypt in 1527, and was the first Ottoman public structure built after the Ottomans conquered Jerusalem from the Mamluks. The Octagon shaped structure is caped by a pointed dome. Its lead roof is supported by 8 columns. A 7m x 7m square shallow pool was used for bathing before climbing up the stairs to the shrine of the Dome of Rock. Another Sebil near the Chain gate is the Kaitabai (Qa'it Bay) Sebil. 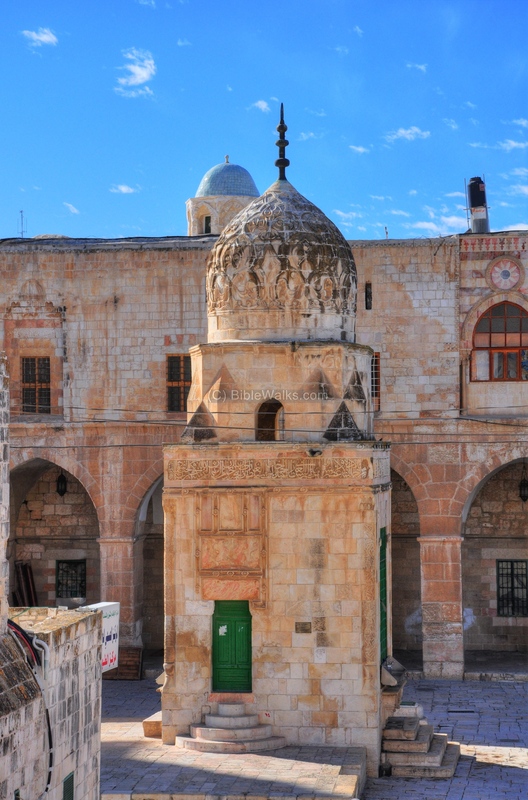 This 13m high structure was constructed in 1455 by the Mamluk Sultan Enal (Al-Ashraf Sayf ad-Din Enal, reigned 1453 - 1461), then repaired in 1482 by the Mamluk Sultan Kait-Bai (Al-Ashraf Sayf al-Din Qa'it Bay, reigned 1468-1496), and was named after him. Under the fountain is an underground reservoir. Another sebil is seen outside the walls, on the south-west side of the old city, on the bridge over the Valley of the son-of- Hinnom. The road is called Hebron. The sebil was built by the Ottoman Sultan Suleiman the Magnificent (reigned 1520-1566). This great builder of Jerusalem built additional 4 sebils inside the walls. 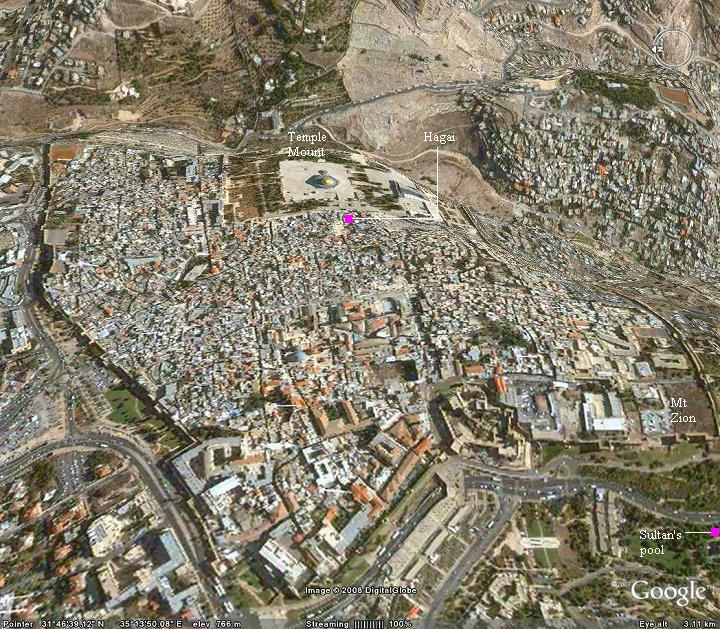 The photo below shows the sebil, with the "Sultan's pool" behind it in the near right side, and the Tower of David and the walls of the old city in the far right background. The water was fed from an aqueduct that supplied water to the temple, and also filled up the reservoir behind the sebil (called "Sultan's pool"). The aqueduct was based on the Jerusalem "lower aqueduct" that delivered water to the city in the Roman period, from Solomon's pools (near Bethlehem) to the temple mount (20KM in total length). Its traces are visible on the west side of the pool. The Turks added clay pipes into the ancient rock-hewn aqueduct. A modern sebil was built in 1927 in the Scottish hospital structure (now Jerusalem's house of quality), near St. Andrew's church. 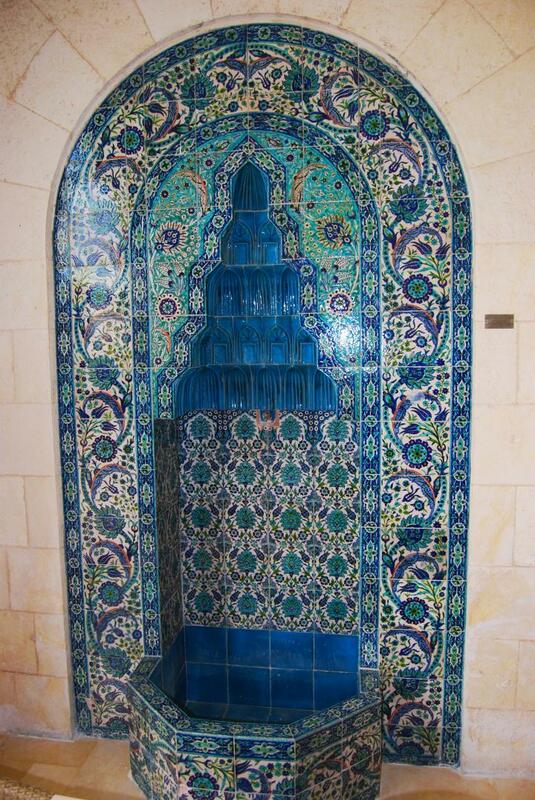 It is beautifully decorated with blue Armenian ceramic tiles. Sebil - a Turkish name for a drinking fountain. 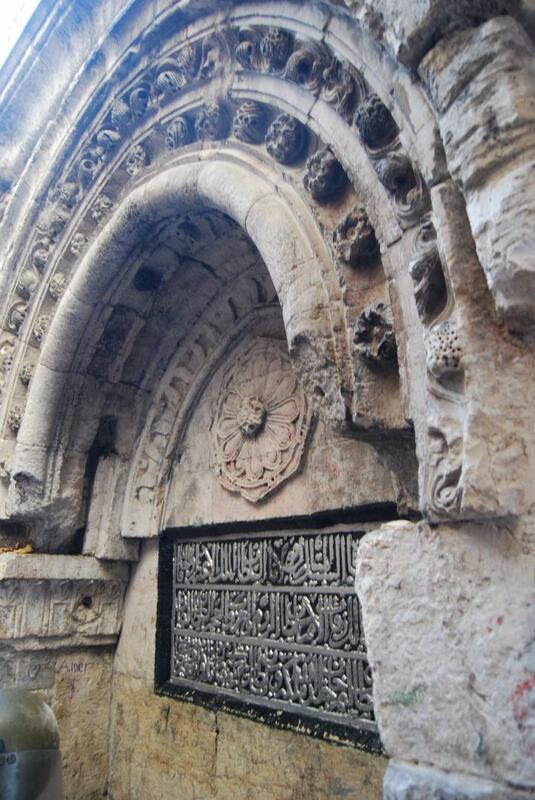 It is based on the Arabic name of a "path" , since the Sebil was located near roads. in Hebrew a path is called "Shvil", which is very similiar. Rahat - Hebrew name for Sebil. 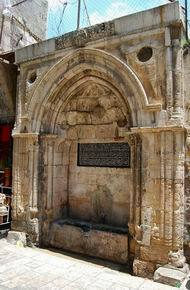 Biblical reference of Rahat, translated to troughs (Exodus 2 16): "Now the priest of Midian had seven daughters: and they came and drew water, and filled the troughs to water their father's flock".